Bundy Automotive is passionate about Classic Car Restoration. We all love to see classic cars from the 50’s and 60’s fully restored to their showroom beauty. If you have a classic car sitting under a canvas tarp in your garage that you would love to see restored to its former glory, Bundy Automotive would be thrilled to talk to you about your restoration options. We have built a highly respected reputation restoring antique and classic cars for almost 40 years. Customers have trusted us with their prized possessions and our highly talented technicians get them looking show room ready! We pride ourselves on utilizing the most environmentally friendly paints and products on the market. 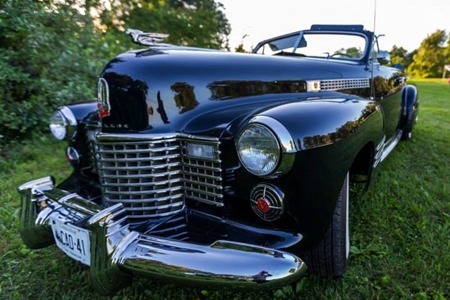 If all your classic beauty needs is a fresh coat of paint and a new set of whitewall tires, give us a call. The car restoration pros at Bundy Automotive are fully qualified to refit your classic automobile from the ground up if necessary. Bundy Automotive will rebuild your engine, suspension, axels, and refit all the moving parts under the hood. As for complete auto body restoration, we are fully capable of restoring your car to look as they did back in their prime. Give Bundy Automotive a call today.